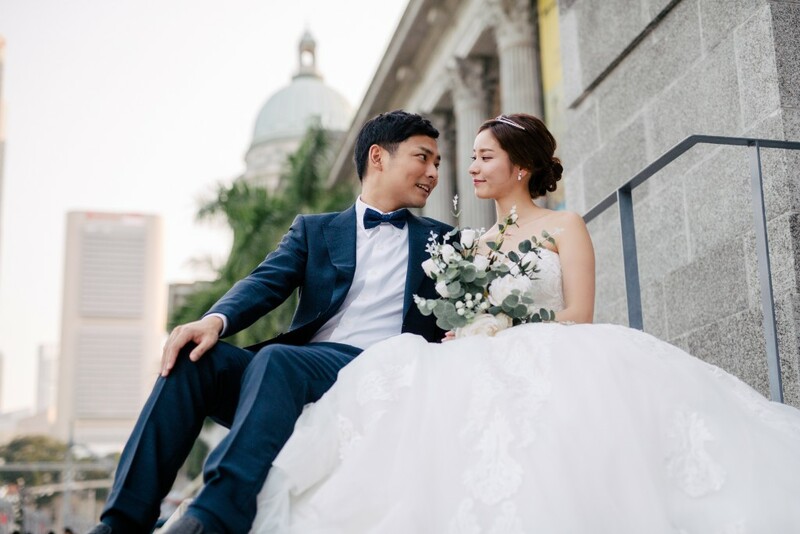 Emi & Kodak are Japanese expats working in Singapore. 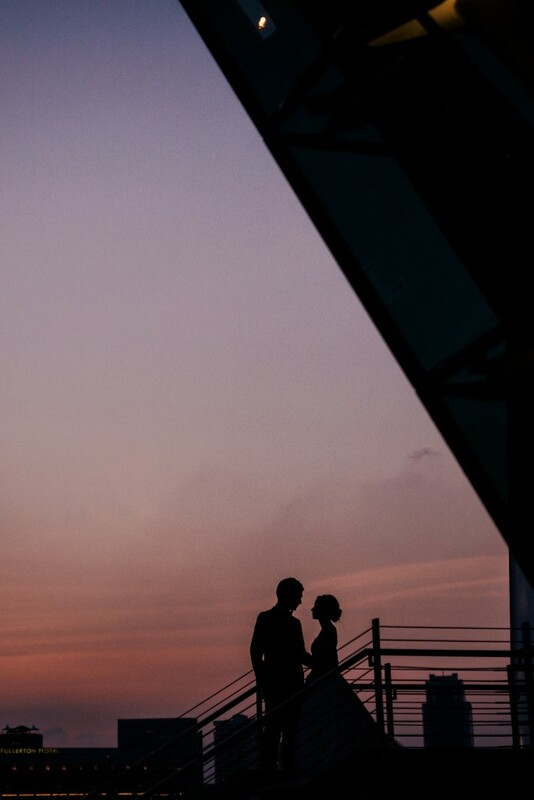 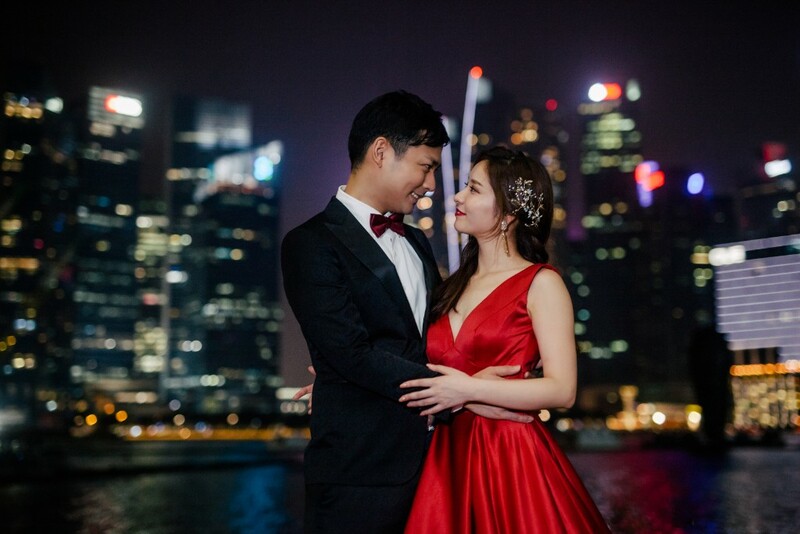 They want to document their pre-wedding in this city which they both loved. 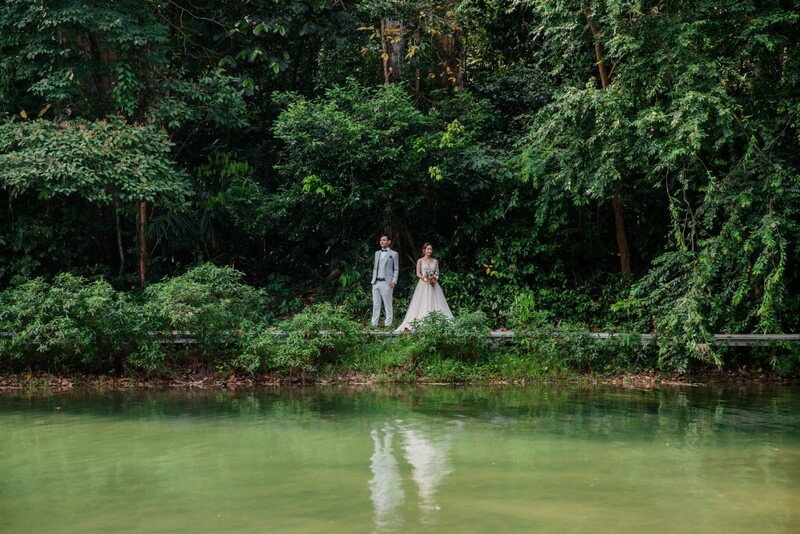 The first location of the day is at MacRitchie Reservoir. 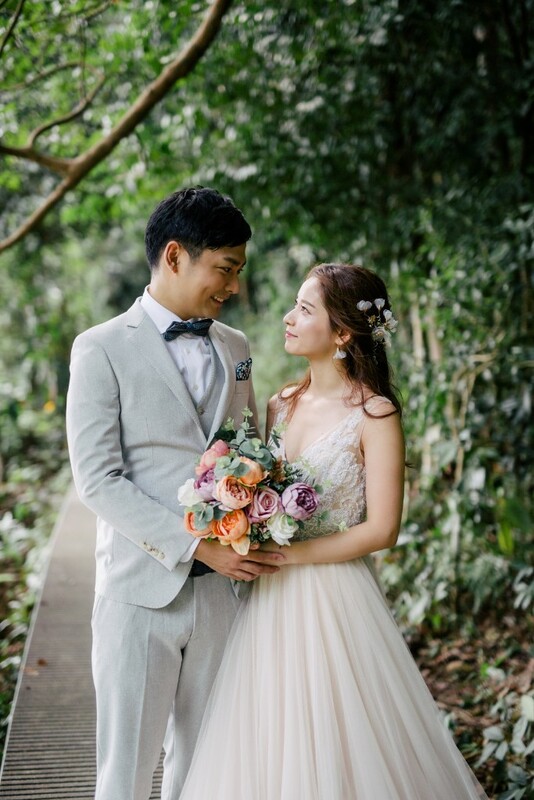 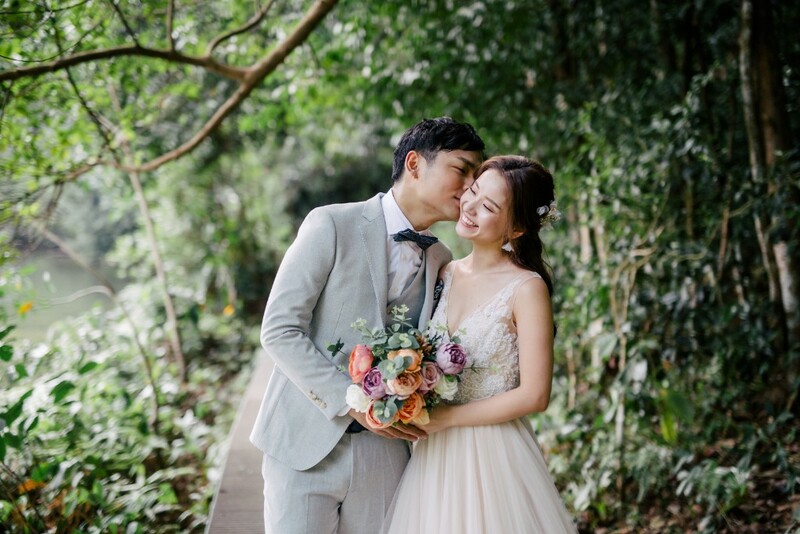 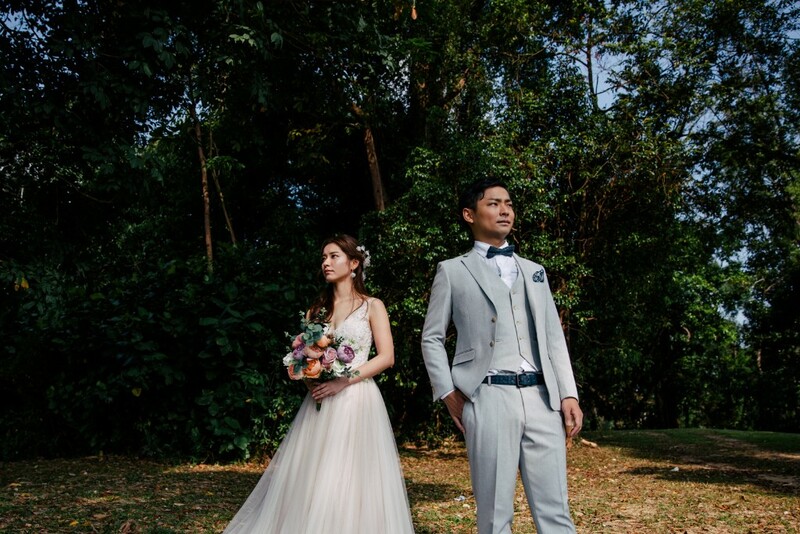 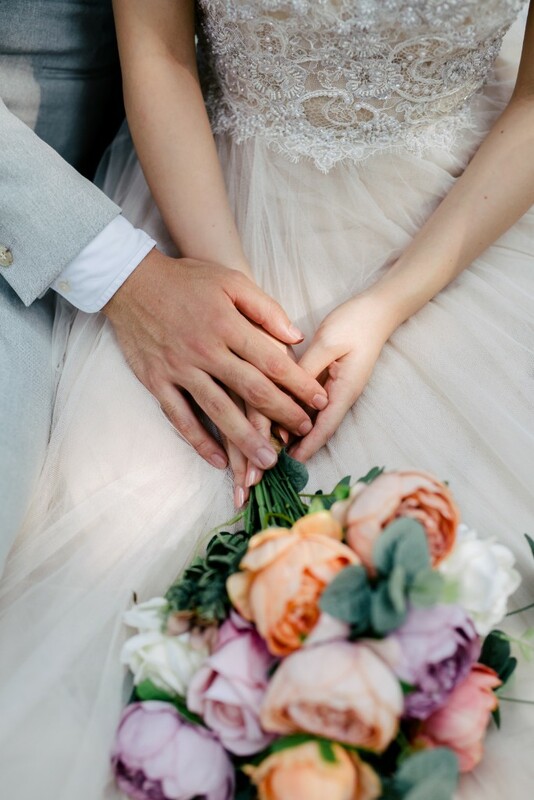 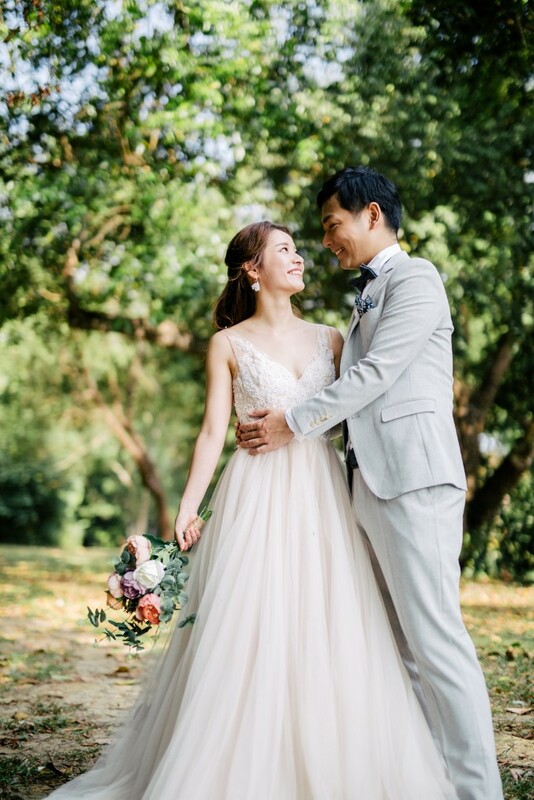 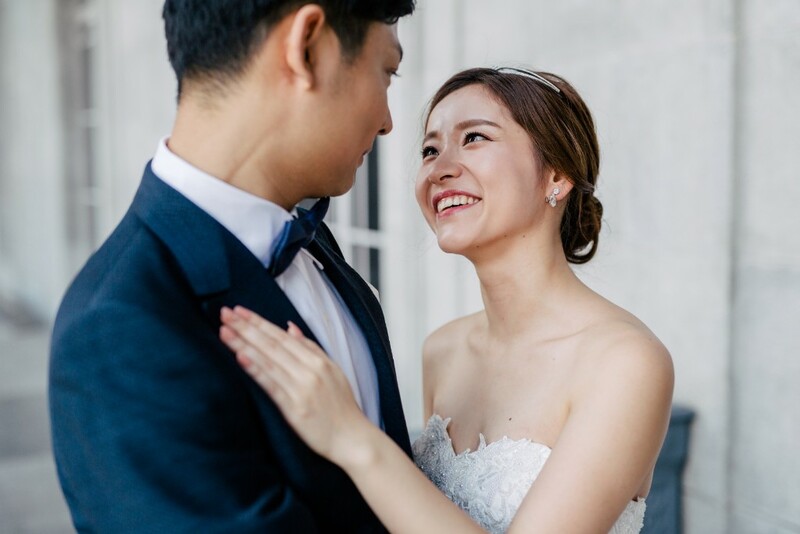 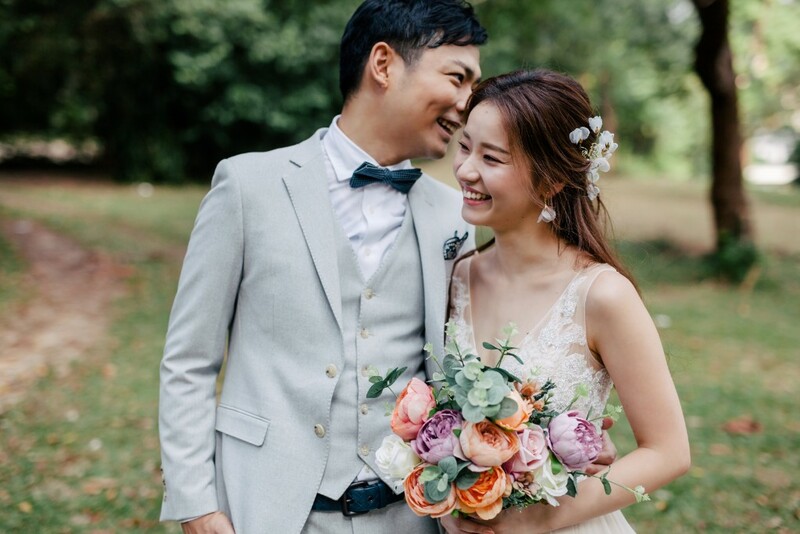 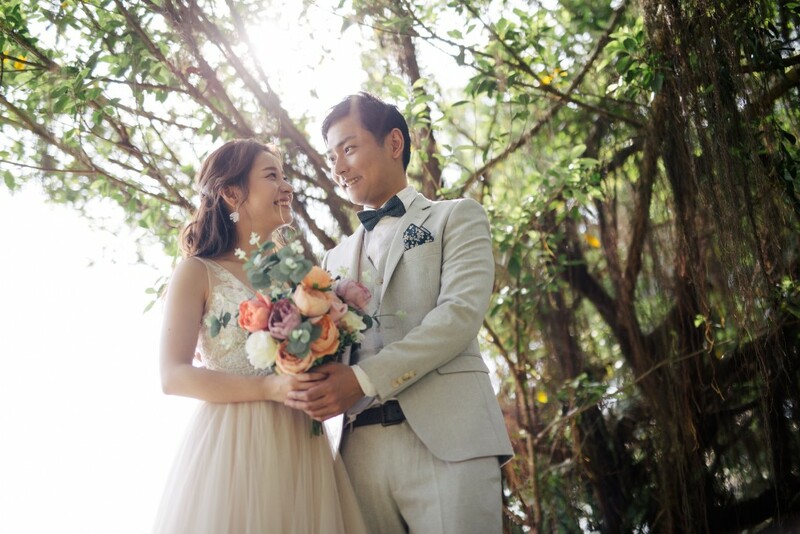 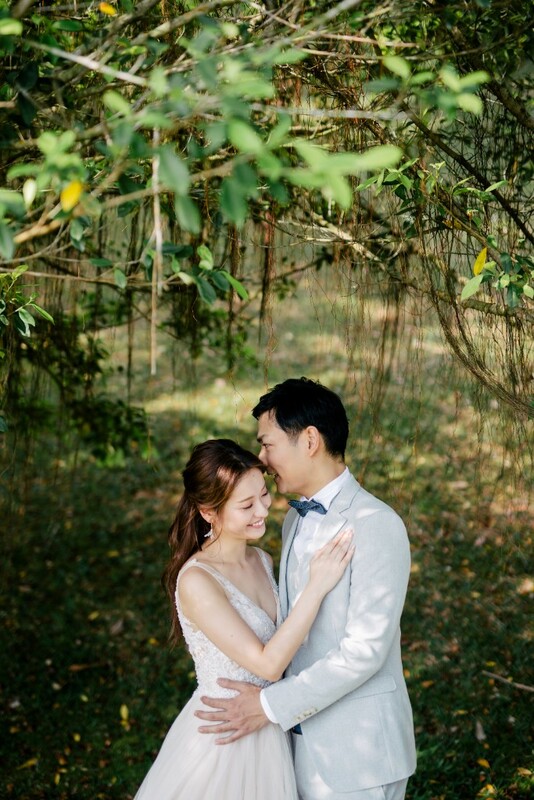 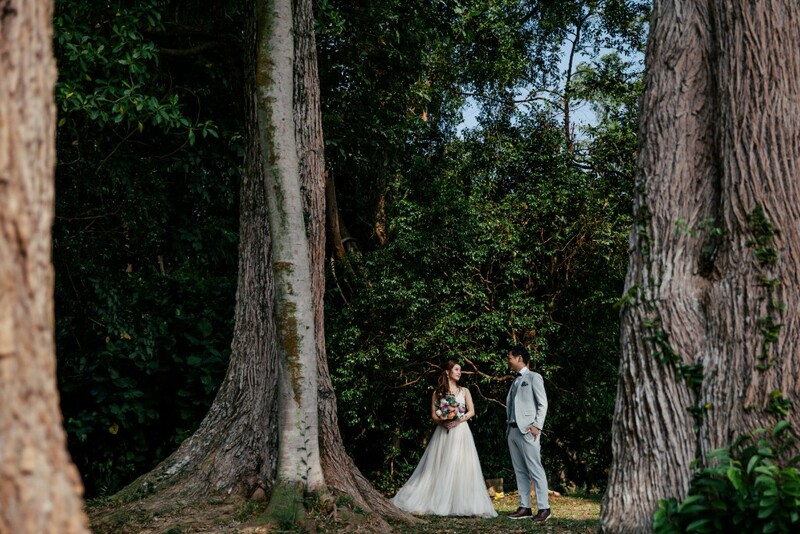 The lush woodland of MacRitchie Reservoir is a perfect backdrop for the photoshoot. 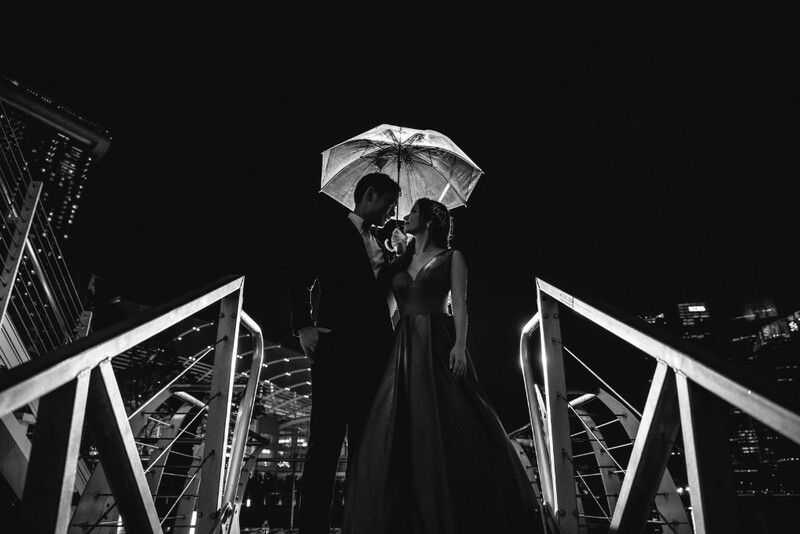 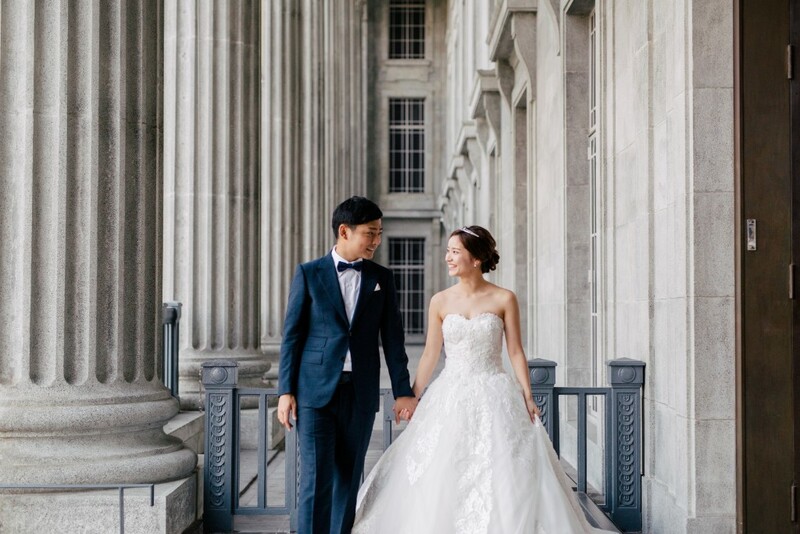 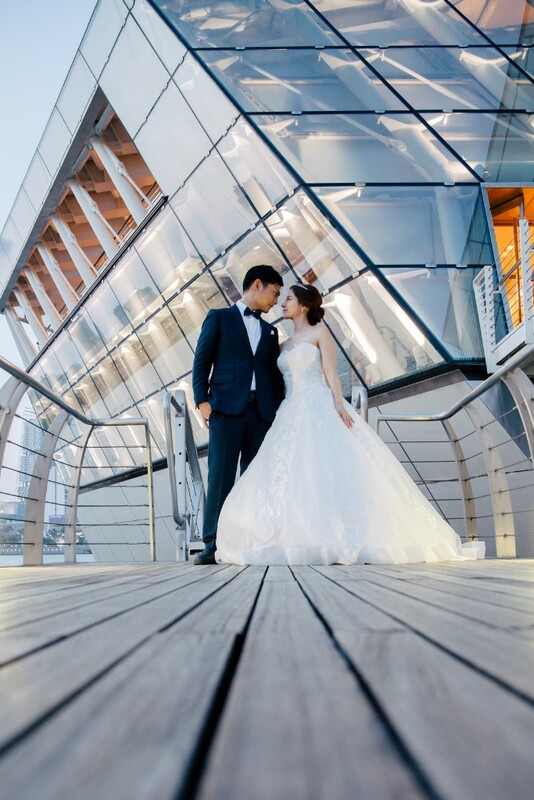 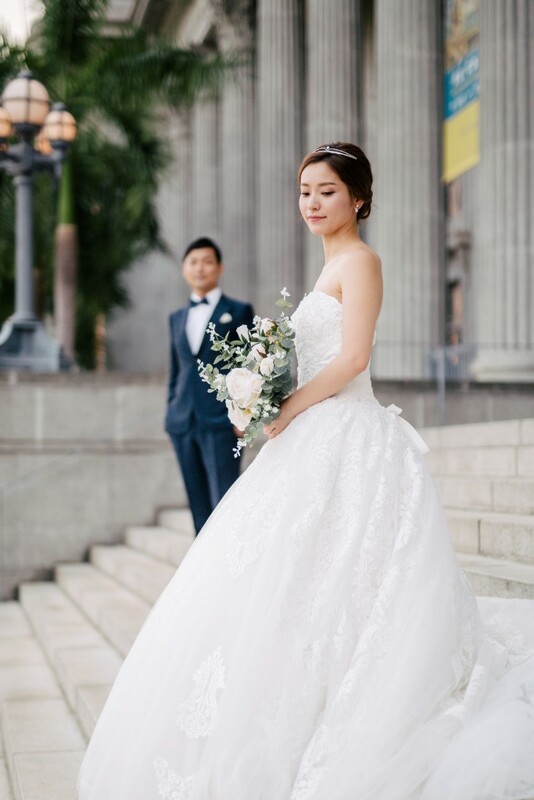 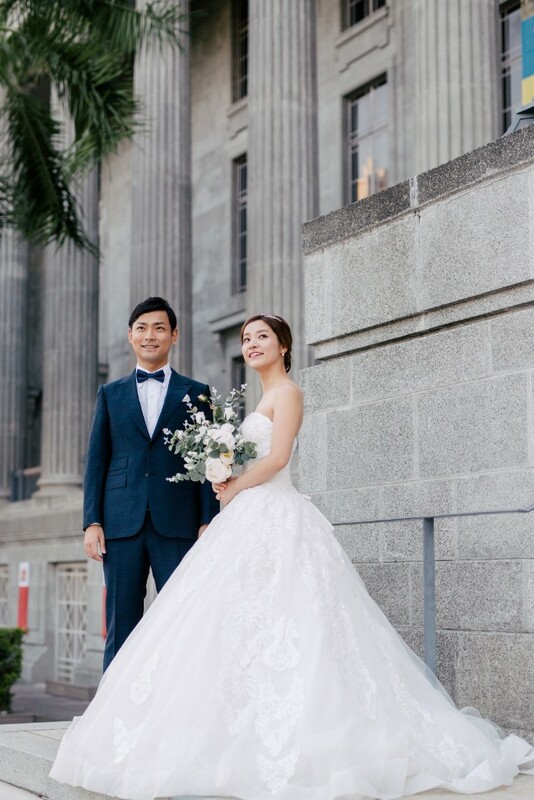 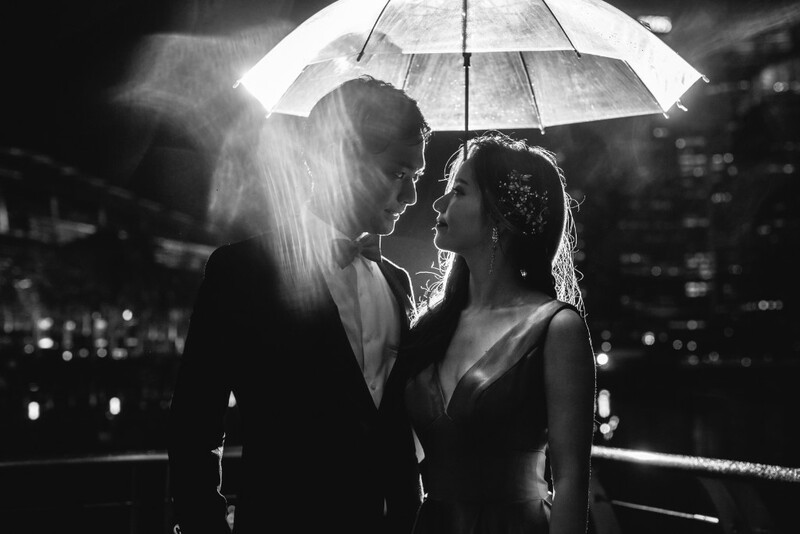 Apart from nature scenes, the couple also wish to have their photos taken at iconic locations, like the National Gallery & Marina Bay Sands. 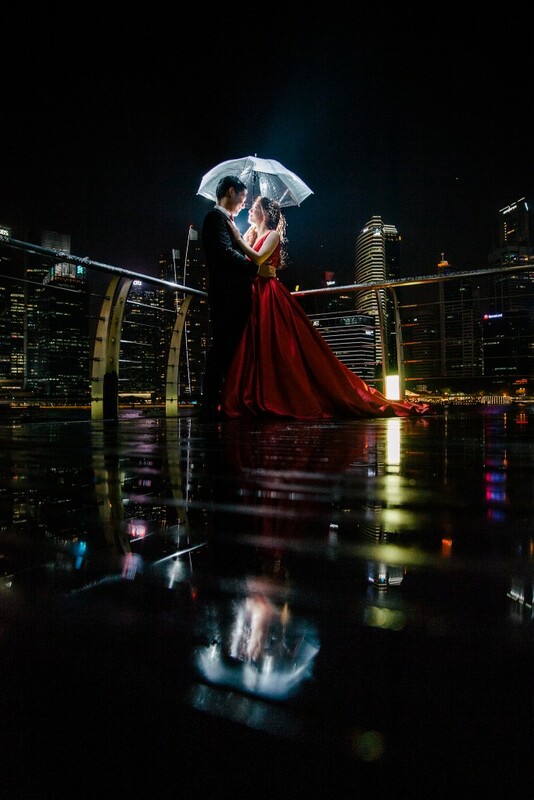 In order to capture the best of the city, our team decide to shoot during the night, at the MBS light and water show. 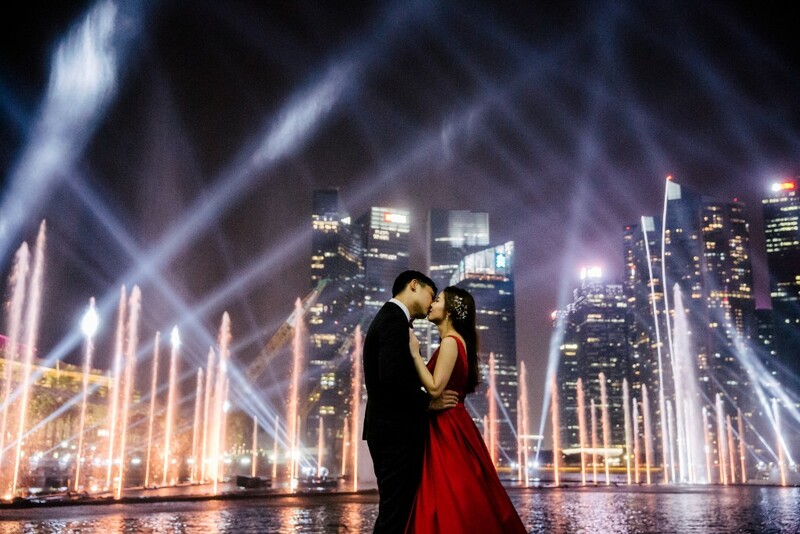 The beautiful fountains and laser lights came together and created a visually stunning background for our couple.